Tired Out Work-related fatigue can be very bad for your safety and your health. But Hazards editor Rory O’Neill says union safety reps can play a crucial role in stopping employers wringing ever more work out of fewer workers. Control over work hours and alternative work schedules, AFL-CIO bargaining factsheet, USA [pdf]. The development of a fatigue/risk index for shiftworkers, HSE report RR446, HSE, UK. Working Time Regulations, BERR website. National Work Stress Network, UK. ACTU reasonable hours campaign, Australia. A man working on a project for the Japan Aerospace Exploration Agency (Jaxa) took his own life in 2016 because he was overworked, Japanese authorities have ruled. Yukinobu Sato, aged 31 at the time, was working as a contractor on a satellite project for Jaxa and was under extreme stress, a compensation review by the Ibaraki Labour Bureau’s Tsuchiura Labour Standards Inspection Office concluded. Working shifts increases a person’s chances of developing heart disease, with every year spent in this working pattern causing a 1 per cent rise in the risk, according to a new study. The research published in the journal Occupational Medicine is the largest ever study focusing on the risk of ischaemic heart disease in shift workers. UK companies claimed £32.7 billion of free labour last year because of workers doing unpaid overtime, according to new analysis of official statistics by the TUC. More than 5 million people put in an average of 7.5 hours a week in unpaid overtime during 2018. Working very long hours – 55 plus a week - is linked to a heightened risk of depression in women, a study has found. The observational study published online in the Journal of Epidemiology & Community Health also found working weekends is associated with an increased risk in both sexes. Zero hours workers are more than twice as likely to work ‘health risk’ night shifts as other workers, according to new analysis published by the TUC. Nearly a quarter (23 per cent) regularly work through the night, compared to 1 in 10 of the rest of the workforce. Airport workers in Australia are celebrating a legal victory after the federal court ruled they can't be forced to work split shifts. Justice Darryl Rangiah said airport services company Aerocare, now called Swissport Australia, can't require employees to work split shifts. The TUC says zero hour contracts are a licence to treat people like disposable labour. As part of the TUC’s HeartUnions week, TUC Education is hosting a webinar with Better Than Zero to find out how they have been organising against precarious work in the hospitality and service sectors in Scotland. The Australian Transport Workers’ Union (TWU) is calling for Uber and not just drivers to face criminal prosecution over the deaths of passengers. The call came as an Uber driver was convicted in Sydney over the death of a passenger. Stagecoach firm Midland Red (South) Ltd has been fined £2.3 million after ignoring 24 letters of complaint about a bus driver who went on to kill two people in a crash. Kailash Chander, now 80, lost control of the Midland Red bus after working 72-hour weeks. Plans to introduce monitors in train cabs in a bid to keep drivers awake is a dozy idea while train companies refuse to deal with work-related fatigue, ASLEF has said. The train drivers’ union was commenting after it emerged Britain's rail safety body is considering installing monitoring devices in trains that constantly scan driver's faces and vibrate their chairs if they start to doze off. Teachers and officials at elementary, junior high and high schools across Japan are working more than 11 hours per day on average, raising concern about serious health repercussions or even deaths. In a government survey, which drew responses from some 35,000 school teachers and officials, 80.7 per cent said they have stress or concerns related to work, of whom 43.4 per cent cited long working hours as the cause of their distress. Britain’s workers are falling victim to a workplace ‘exhaustion epidemic’, a study has concluded. The research from Westfield Health found almost half of British workers regularly turn up to their job feeling too tired to work, 3 in 10 have had an accident or made a serious mistake due to fatigue, and 13 per cent have even drifted to sleep whilst driving. The number of people working night shifts has increased by more than 150,000 over the past five years, a TUC analysis of official figures has revealed. The union body says the number working nights now stands at more than 3 million workers – or one in nine of the total UK workforce. The mental health of workers in film and TV is being damaging by the sector’s long hours culture, the union BECTU has said. The union is calling for all parts of the industry to come together to form a commission dedicated to reducing the industry's reliance on a long hours working culture. BECTU news release. Risks 870. 13 October 2018. Teaching union NEU is urging the government to reduce teachers’ workload after new research revealed that unnecessary tasks are the main reason for teachers quitting. The union’s report says that 78 per cent of secondary school teachers and 69 per cent of primary teachers think that the amount of marking they do is unmanageable. Unite has raised a “collective grievance” with one of the operators in the North Sea over the impact of three week off, three week on (3/3) rotas and seeking reviews with many more, including all those working for BP. This follows a report from the Robert Gordon University (RGU) in April, which said workers on three-week, equal-time rotas were nearly twice as likely to experience ill health as those on two on, two off rotas. Commuters are so regularly using travel time for work emails that their journeys should be counted as part of the working day, researchers have said. Wider access to wi-fi on trains and the spread of mobile phones has extended the working day, the study from the University of the West of England found. The long hours culture in film and TV production is not just bad for workers, but for their entire families, their union BECTU has warned. The latest phase of the union’s ‘Eyes Half Shut’ campaign against excessive working hours is emphasising how hard families are being hit by long hours. Truck drivers are demanding urgent action after a major study exposed the massive toll claimed by Australia’s deadliest job. Truck drivers are 13 times more likely to die at work than any other profession, while the long hours, social isolation, time pressure and lack of job control also make it one of the unhealthiest jobs, according to the Monash University study. Sickness levels among overworked paramedics demonstrate how close the system in Wales is to breaking point, a union has warned. The GMB said staff were fatigued due to increasing workload, a lack of br eaks and working over their hours. Hundreds of thousands of workers are still trapped in jobs that are so insecure they can't plan childcare or budget for their weekly shop, latest official figures have confirmed. Government statistics released this month reveal the number of people working on zero hours contracts now stands at 780,000 - this is a drop of over 100,000 since February, but the bad news is that two-thirds of those on zero hours contracts (66 per cent) have been stuck on them for more than a year. TUC blog. Sign the TUC ban zero hours contracts petition. Royal Berkshire Hospital is being urged to withdraw proposals for ‘dangerous’ new shift patterns for overworked accident and emergency (A&E) staff. “If these staff are forced to do pointlessly long shifts at all hours of the day and night, they may be too tired to cope with the constant stress and demands of their front line role in A&E,” said GMB Southern Region. Japan’s government is to urge companies to give employees some Monday mornings off work in its latest attempt to improve the country’s overwork crisis. The economy, trade and industry ministry’s ‘Shining Mondays’ plan will help address the punishingly long hours many Japanese are expected to work, although similar voluntary schemes aimed at reducing people’s workload have been largely unsuccessful. Film and theatre craft union BECTU is asking workers in film and TV to make their views known about the dangers of driving to and from work on long hours productions. The union is highlighting the issue of ‘drowsy driving’ as part of its Eyes Half Shut campaign. While Japan famously brought the world the concept of karoshi, or death from overwork, South Koreans work longer hours, according to labour data. The South Korean police say work pressure plays a role in more than 500 suicides in the country each year, out of a national total of about 14,000. A new TUC analysis has revealed that 1 in 12 UK workers are not getting their legal holiday entitlement. The analysis estimates that 2.2 million employees are not getting the minimum paid leave entitlement to which they are entitled under a workplace safety law. A bar worker on a zero hours contract has won a legal dispute over last-minute shift-cancellations that campaigners say could lead to significant changes in employers’ practices in the hospitality industry. After contacting Better than Zero, the campaign against precarious work that is supported by the Scottish Trades Union Congress (STUC), Alasdair Thomson decided to pursue his case legally against SLONLO2 Ltd, the company that held the lease at Phoenix Alehouse. High workloads are putting ‘severe pressures’ on teachers in Scotland, the union EIS has warned. EIS survey findings, published ahead of its annual meeting, revealed increasing workloads and long working hours are having an impact on the well-being of teachers. Britain: Sainsbury's is to plough ahead with contract changes for all workers that will mean up to 9,000 of its staff will lose out. On 1 September, the grocer's minimum wage will increase from £8 to £9.20 an hour - but accompanying the pay hike is a plan to scrap paid breaks and axe Sunday 'premium' pay. Union news release. Usdaw news release. The Guardian. Daily Mirror. Retail Gazette. Morning Star. Risks 852. 9 June 2018. TV and film production union BECTU has launched the latest phase of its campaign against the long damaging hours culture in film and TV production. The #EyesHalfShut campaign highlights the dangers to health that film and TV workers face every day in an industry BECTU says is beset with unnecessary long hours working. BECTU news release. Risks 852. 9 June 2018. Workers at Royal Museums Greenwich have walked out for the third time in protest at cuts in paid breaks. The changes affect staff working at both the National Maritime Museum and the Royal Observatory Greenwich, where the Prospect members calculated that by reducing breaks by 40 minutes a day, they will be working three extra weeks a year. Many air traffic controllers in New Zealand have no guarantee they will get any toilet breaks while carrying out safety-critical roles controlling planes, their union has told a select committee. The New Zealand Air Line Pilots’ Association (NZALPA), told the education and workforce select committee that the change it was seeking to the proposed Employment Relations Amendment Bill (ERA Bill) were “safety-critical”, to allow controllers to take a break during each shift. The union Unite has warned Qantas airlines against employing ‘anti-union’ tactics to try and suppress legitimate health and safety concerns. The union was speaking out after the introduction of the airline’s new 17-hour ultra-long haul flight between London Heathrow and Perth in Australia, which means an average duty period of 19 hours for the ten cabin crew on board each 787 Dreamliner aircraft serving the route. The majority of nurses regularly go through entire shifts without drinking water or taking breaks, a survey has found. Threequarters of nurses do not have time to take a break during one or two shifts every week, according to the poll of 2,000 nurses by journal Nursing Standard. The leader of the UK's trade union movement has praised “brilliant” campaigns against zero hours contracts by young Scottish workers. TUC general secretary Frances O’Grady said the Better Than Zero campaign had revitalised unions in Scotland. Workers at Dial-a-Ride have started a new series of walkouts after talks to resolve a dispute over the withdrawal of rest days and the imposition of new rosters failed to make progress. The dispute, which led to strike action in March, involves 120 workers who provide special needs transport for elderly people, the vulnerable and those with disabilities, on behalf of Transport for London (TfL). The TUC has called on the government to ban zero hours contracts after latest official figures showed the number of workers affected rose by 100,000 in 2017. The statistics published by the Office for National Statistics show that UK firms used 1.8 million zero hour contacts in the year to November 2017, up from 1.7m in 2016, and that 901,000 people had a zero hours contract as their main employment in the final quarter of 2017. Teachers work longer hours - and have seen a sharper drop in pay - than police officers and nurses, researchers have found. The study, by the National Foundation for Educational Research (NFER), shows that teachers worked 50 hours a week during term time in 2015/16, compared with 44 for police officers and 39 for nurses. The education secretary has promised to cut teachers’ workload in an attempt to resolve a recruitment crisis in England's schools. In a 10 March speech, Damian Hinds said he will address as a “top priority” concerns about a shortage of teachers. UK workers gave their employers £31.2 billion in free labour last year by doing unpaid overtime, according to new analysis of official statistics published by the TUC. The figures were released on 23 February, the TUC’s 14th annual Work Your Proper Hours Day. Members of the firefighters’ union FBU can apply for compensation after a fire authority imposed a new shift or ‘duty’ system on its employees, which requires periods on duty of 96 hours at a stretch. An Employment Appeal Tribunal (EAT) ruling means the FBU can pursue compensation claims for ‘injury to feelings’ for members who were forcibly displaced from their fire stations when the new working pattern was introduced. Workers should be given places to rest at work to help boost productivity, according to new official guidance. Downtime at work can help employees switch off and get better quality sleep at night, says Public Health England (PHE), adding better sleep maintains cognitive function in employees, as well as cutting health risks. BBC News Online. Sleep and recovery: A toolkit for employers, Business in the Community in association with PHE, January 2018. Public Health England blog. HSE workplace fatigue webpage. The roads minister in the Australian state of New South Wales, Melinda Pavey, has been slammed after suggesting truck drivers could be zapped with electric shocks to reduce the carnage on the roads. The Transport Workers Union slammed her “offensive” suggestion as “heartless, arrogant and completely incompetent”. Lack of sleep resulting from long hours and excessive workloads is jeopardising patient safety and doctors’ health, the doctors’ organisation BMA has warned. A report produced by the association has highlighted how long and demanding hours coupled with frequent changes in rotas and insufficient recovery periods mean thousands of doctors are at heightened risk for sleep deprivation and fatigue, adding that inadequately rested doctors were at greater risk of making errors in patient care as well as occupational hazards such as needlestick injuries and road-traffic accidents. Taxi firm Uber could be putting passengers and the public at risk by letting its employees work more than 80 hours a week, Labour’s Rachel Reeves has said. The Commons business select committee, which Reeves chairs, asked the company to supply information about how long drivers spend on duty. DPD delivery drivers in Scotland have protested over pay cuts and enforced working hours. The 150 owner-driver franchisees (ODFs), members of GMB Scotland, staged the 5 December demonstrations at the firm’s depots in Glasgow, Uddingston, Edinburgh and Dundee. Amazon warehouse workers are so exhausted by long hours and relentless targets they are falling asleep on their feet, according to a new investigation. Sunday Mirror reporter Alan Selby spent five weeks working at the online shop's warehouse in Essex and was told to pack 120 items an hour, although that target is set to rise to 200 items. About 8 per cent of full-time medical practitioners in Japan took no days off in the preceding month, while 7 per cent of night-shift doctors put in more than 80 hours of overtime, a union survey has found. One of the labour ministry’s ‘thresholds’ used to define overwork-related deaths, or karoshi, is working more than 80 hours of overtime a month. The government must stop ‘downright dangerous’ practices used by firms including delivery giant Hermes, the union GMB has said. The union, which represents drivers working for Hermes Lifestyle Couriers, has warned of a public safety risk after a leaked letter shows the company is forcing couriers to work excessive hours and up to 21 consecutive days in the run up the Christmas. The High Court has said a judicial review can take place into a shift pattern that sees firefighters spend 96 hours straight on duty. Firefighters’ union FBU, which had sought the review now scheduled for early in 2018, wholeheartedly welcome the court’s decision. The Japan labour standard office has determined the suicide of a 23-year-old man who worked at Tokyo's new Olympic stadium construction site stemmed from overwork, and his family is eligible for government compensation. Hiroshi Kawahito, a lawyer representing the victim's family, said the victim, in charge of quality control of materials at the stadium site, recorded 190 hours of overtime in one month before killing himself in March. The long hours culture in film production is damaging family life and causing ill-health, according to a report from BECTU. The media and entertainment union questions the sustainability of a creative process that fails to nurture creativity, instead running the industry as a production line. Overwork caused the death of a 31-year-old female reporter with Japanese state broadcaster NHK in 2013, according to the labour standards inspectors, the public broadcaster has now admitted. Miw a Sado, who was based at the broadcaster’s centre in Tokyo, died of congestive heart failure in July 2013 after working 159 hours of overtime with only two days off in the one-month period prior to her death. Pilots’ union BALPA has accused the outspoken head of Ryanair of giving a ‘worrying’ message dismissive of pilot fatigue risks. The union was responding after Michael O’Leary, the chief executive of the discount airline, said that pilot fatigue as a result of flying in short-haul operations does not exist, and that pilots fly a maximum of 18 hours a week, both claims rebutted by BALPA. Too many companies like Sports Direct are ‘addicted’ to the use of zero hours contracts and insecure working practices, Unite has warned. The union comments came as official figures showed there were 1.4 million contracts that did not guarantee a minimum number of hours. A report by the Royal College of Surgeons of Scotland has said that fatigue is putting patients’ lives at risk. The college surveyed more than 500 consultants and trainees across the UK and found fatigue and high stress levels are impacting on morale and patient safety. More than half of trainee hospital doctors have had an accident or near miss on their way home after a night shift, according to a new study of fatigue among NHS staff. The research, published in the medical journal Anaesthesia, found 1,229 (57 per cent) of 2,155 trainee anaesthetists questioned had been involved in an accident, or come close to having one, while driving, motorcycling, cycling or walking home after working all night. Association of Anaesthetists news release. The Telegraph. The Guardian. The Scottish Ambulance Service is so over-stretched it is ‘begging’ its stressed-out workforce to give up their holidays to put in extra shifts. Unite says the ‘dangerously overstretched’ ambulance service needed workers to provide overtime cover, with management pleading with some workers to step in instead of going on holiday. A planned curb on zero-hours contracts for thousands of care workers unveiled by the Welsh government has been given welcomed by the union UNISON. But the union says the chronic UK wide underfunding of the service also needs to be addressed. Young people employed at a Sunderland call centre are being required to work longer shifts with fewer breaks than are required by law, a union has charged. GMB, the union for workers at the Parseq call centre on Doxford Park, is calling on the Health and Safety Executive (HSE) and the conciliation service Acas to conduct an audit into the company’s application of the Working Time Regulations. “Staggeringly high” numbers of teachers are ready to quit the profession, a leading education researcher has warned, as growing pressures placed on staff and schools make the job “just too big an ask”. Rebecca Allen, director of the Education Datalab think tank has become the latest expert to highlight what has been referred to as a “crisis” in teacher recruitment and retention. The government-commissioned inquiry into controversial working practices is set to call for employees on zero-hours contracts to be given the right to request a move onto fixed hours. The idea was proposed in a Confederation of British Industry (CBI) submission to the review. Japan has taken the unprecedented step of naming more than 300 firms that the authorities say are violating workplace safety and other labour laws. A labour ministry list posted online includes 334 companies that have received warnings for safety offences, excessive overtime and other violations between last October and March this year. The TUC has called for a crackdown on zero-hours contracts after official statistics showed a sharp rise in the number of workers affected. The new Office for National Statistics (ONS) figures revealed almost a million workers have no guaranteed hours in their main job. The punishing long hours culture in many professional kitchens is putting the mental and physical health of chefs in London at risk, a snapshot survey by Unite has revealed. Almost half (44 per cent) of chefs responding to the union’s survey said they worked between 48 and 60 hours each week, with it now standard practice for employers to include an automatic ‘opt-out’ from the 48-hour a week ceiling under the Working Time Regulations in workers’ contracts. A third of care workers in England are stuck in precarious, zero hours contracts, their union GMB has said. The union’s analysis of industry data shows that an estimated 117,679 out of England’s 369,340 care workers are trapped in insecure work – almost 32 per cent. It said the figures compare to a national average of workers on zero hours contracts across all occupations of just 2.8 per cent. A top level government panel has set out a plan to reduce long working hours and ensure equal treatment for regular and nonregular employees in Japan, as part of broader labour reforms. The panel, headed by prime minister Shinzo Abe, is calling for a cap on overtime hours and penalties on violators in an action plan based on an agreement between Japan’s most powerful business lobby Keidanren and the union federation Rengo. Social workers are struggling with heavy caseloads, longer working hours and going without lunch breaks, according to a survey by UNISON and Community Care magazine. Nearly half (48 per cent) of respondents said the volume of cases they were responsible for left them feeling ‘over the limit,’ and more than half (56 per cent) blamed staff shortages for their heavy workload. The biggest employers’ group in Japan, Keidanren, and the Japanese Trade Union Confederation (Rengo) have agreed new monthly and annual overtime limits. The new agreement says overtime should be limited to 45 hours a month or 360 hours a year, with an absolute cap of 100 hours in any one month in special circumstances. The law relating to working time is complicated. Some bad employers take advantage of this to deny staff their rights. The TUC says the publication is just a short guide, not a full statement of the law and advises workers, where they believe their rights are being ignored, to get advice their trade union about how to remedy the situation. Airlines are not doing enough to address fatiguing rosters and this will lead to many UK pilots suffering ‘burnout’, according to flight safety experts at the pilots’ union BALPA. One year on from the introduction of EU-wide pilot duty hours regulations, the union’s head of flight safety, Dr Rob Hunter, warned that fatigue remains a huge issue for the industry, and not enough is being done to tackle it, especially ‘burnout’. Unions have backed the TUC call for an end to exploitative working hours. Speaking on the 24 February publication of the TUC’s latest analysis of unpaid overtime in the UK, leaders of the lecturers’ union UCU, teachers’ union NUT and journalists’ union NUJ said workers were facing unacceptable long hours and heavy workloads. The UK’s over-stretched workers gave their employers £33.6 billion of free labour last year by doing unpaid overtime, according to a new analysis of official statistics from the TUC. The TUC’s calculations were published on 24 February, to mark its 13th annual Work Your Proper Hours Day. TUC news release and Work your proper hours day resources. A report has revealed the major reasons why truck driving is Australia’s deadliest job. Long hours, pressure to drive unsafe schedules with unsafe loads and an inability to raise safety concerns without jeopardising their jobs are among the risks to safety facing drivers, the Macquarie University study found. ANU news release. The New Daily. The Japanese government is urging people to leave work early and go shopping in an attempt to reduce deaths from overwork and to boost the ailing economy. The voluntary policy - known as Premium Friday - calls on employers to let their workers out at 3pm on the last Friday of every month to start the weekend early. At least four in 10 junior doctors have fallen asleep while driving home from a long night shift, according to research for BBC’s Inside Out programme. Out of 1,100 newly qualified doctors surveyed, 41 per cent of them said they had nodded off at the wheel. French companies are now required to guarantee their employees a “right to disconnect” from technology. The new law came into force at the start of the year, and obliges organisations with more than 50 workers to start negotiations to define the rights of employees to ignore their smartphones. Tadashi Ishii, the president and chief executive of the advertising agency Dentsu, is to resign in the wake of an employee suicide. A president in the 1950s urged its employees to work single-mindedly to complete tasks and satisfy clients, “even if it kills you” - and the company continued to print the exhortation in training materials until after Matsuri Takahashi’s death, when it had it removed. An airline captain has accepted an apology from an airline after being sanctioned for refusing to fly due to fatigue, as well as assurances that the company remains committed to passenger safety. Captain Mike Simkins, a member of the pilots’ union BALPA, was suspended by Thomas Cook Airlines for six months and threatened with dismissal after refusing to fly his Boeing 767 with over 200 passengers while he was fatigued. BALPA news release. Tribunal judgment. Risks 781. 17 December 2016. Half of airline pilots report that fatigue is not taken seriously by airlines, according to the first large-scale survey of pilots’ perceptions of safety within the European aviation industry. The London School of Economics (LSE) study found 51 per cent of pilots surveyed reported that fatigue was not taken seriously by their airline, and 28 per cent of pilots felt that they had insufficient numbers of staff to carry out their work safely. LSE news release. BALPA news release. Risks 781. 17 December 2016. Sleep-deprived workers are costing the UK economy £40bn a year and face a higher risk of death, according to a new study. The calculation is based on tired employees being less productive or absent from work altogether, with research firm Rand Europe, which used data from 62,000 people, calculating the loss equated to 1.86 per cent of the country’s GDP. A major dispute is escalating between Canadian Pacific Railway (CP) and the union Teamsters Canada, over proposed new work patterns the union believes are unnecessarily inflexible and could increase fatigue risks. The issue is a high profile concern, with Canada’s Transportation Safety Board this month identifying employee fatigue as a contributing factor in 20 per cent of its rail incident investigations conducted since 1994 where human factors were identified as a primary cause. Several offices of Japan's biggest advertising agency have been raided over suspicions its employees are being made to work dangerously excessive hours. The raids came after the suicide of a 24-year-old Dentsu employee the labour ministry ruled to have been ‘karoshi’, or death by overwork or ‘karojisatsu’, overwork-related suicide. Dentsu statement. Japan Times. Adweek. BBC News Online. More on work-related suicide. Risks 776. 12 November 2016. Pilots employed by easyJet have voted to accept an improved offer from the company which addresses concerns about fatigue risks. Earlier this year, members of the British Airline Pilots’ Association (BALPA) in easyJet voted for industrial action over pilot fatigue concerns within the airline. BALPA news release. Fatigue - a guide for health and safety representatives, TUC, July 2016 [pdf]. Tired out! Don’t take fatigue risks lying down, Hazards, number 135, 2016. Risks 776. 12 November 2016. Two linked firms have been fined after it was discovered workers slept overnight at their premises without the necessary fire safety protection. Avon Fire and Rescue Authorities (AF&RA) took the prosecution against Litt Holdings Limited along with its wholly-owned tenant, UKS Group Limited. The number of UK workers who regularly work through the night has risen dramatically, according to a new analysis by the TUC. The union body, which is calling for better protection for this group of workers, found that the number of people who work night shifts increased by 275,000 (9 per cent) between 2011 and 2016 to 3,135,000. Teachers in England are suffering high rates of burnout as a result of overwork, an education thinktank has warned. Most worked an average of 48.2 hours per week, according to the new report from the Education Policy Institute (EPI) - but it found one in five works 60 hours or more - 12 hours above the limit set by working time regulations, a law introduced to protect workers from the health impact of excessive hours. EPI news release and report. ATL news release. NASUWT news release. NUT news release. BBC News Online. An overwhelming vote by easyJet pilots in favour of industrial action on fatigue risks has led to concessions from the company. The budget airline and pilots’ union BALPA said a set of proposals to mitigate pilot fatigue will be put to pilots in a consultative ballot. BALPA news release. Fatigue - a guide for health and safety representatives, TUC, July 2016 [pdf]. Tired out! Don’t take fatigue risks lying down, Hazards, number 135, September 2016. Risks 770. 1 October 2016. The Fire Brigades Union (FBU) has again slammed fire chiefs in Cambridgeshire for attempting to introduce a ‘Victorian shift system’ that would see firefighters working 96-hour shifts. The system, known as day crew plus, would mean the hours a firefighter works in one week would double and their hourly salary would be one of the lowest in any fire service in the country. FBU news release and video update. Risks 766. 3 September 2016. People are more susceptible to infection at certain times of the day as our body clock affects the ability of viruses to replicate and spread between cells, suggests new research from the University of Cambridge. The findings, published in the Proceedings of the National Academy of Sciences (PNAS), may help explain why shiftworkers, whose body clocks are routinely disrupted, are more prone to health problems, including infections and chronic diseases like diabetes. Working night shifts leads to sleep and metabolic disorders, and some serious diseases, according to a study by the French Agency for Food, Environmental and Occupational Health and Safety (ANSES). ETUI news report. Risks 759. 16 July 2016. FBU news release and letter to David Acton calling for his resignation. Risks 759. 16 July 2016. Nearly 50 workers at Suffolk animal feed firm A B Agriculture Ltd (AB Agri) are voting on industrial action, in a dispute over the imposition of longer hours and worse terms and conditions. Unite says the ballot of its members at the Bury St Edmunds firm has been prompted by the unilateral imposition of a ‘draconian’ workplace agreement. Unite news release. Risks 759. 16 July 2016. Union safety reps can play a crucial role in preventing work-related fatigue, the TUC has said. The union body said as well as an increased risk of injury at work, fatigue caused by too demanding work hours and patterns can increase the risk of a range of potentially serious health conditions including digestive and mental health problems. Fatigue - a guide for health and safety representatives, TUC, July 2016 [pdf]. Risks 759. 16 July 2016. Staff at BBC World News are taking industrial action over ‘reckless and self-defeating’ rota changes that require them to work significantly more hours. NUJ members voted by 96.5 per cent, on a strong turnout, for the action, which kicked off on 7 July with a 24-hour walkout. Cambridgeshire’s fire chief has been accused of peddling an ‘unlawful’ shift system that could see firefighters work 96-hour shifts. Day Crewing Plus, described by firefighters’ union FBU as a ‘Victorian era shift system’, would see firefighters spend four days and nights working on a station. Women who put in long hours for the bulk of their careers are at greater risk of life-threatening illnesses, including heart disease and cancer. Work weeks that averaged 60 hours or more over three decades may triple the risk of diabetes, cancer, heart trouble and arthritis for women, a 30-year study by researchers from Ohio State University has found. Allard E Dembe and Xiaoxi Yao. Chronic disease risks from exposure to long-hour work schedules over a 32-year period, Journal of Occupational and Environmental Medicine, online ahead of print, June 2016. Secondary teachers in Scotland are set to take industrial action over their ‘excessive’ workload. Members of the teaching union EIS voted overwhelmingly for a work to rule. Thomas Cook Airlines cabin crew have backed strike action by three-to-one in a dispute over health and safety concerns and ‘dangerous’ changes to rest breaks. Unite said it would be entering further talks with the company at the conciliation service Acas in a bid to resolve the dispute. One million more employees are at high risk of being forced to work excessive hours if the UK votes to leave the EU, a TUC analysis of official figures has found. Working time protections have been targeted openly by Brexit campaigners who claim it is ‘red tape’ that should be scrapped. UNISON has informed the East of England Ambulance Service it is to ballot frontline ambulance staff over possible strike action concerning management’s failure to tackle the problem of excessive working hours and lack of sufficient breaks. The union is seeking a 45-minute meal break, a 20-minute additional break later in the shift, and for crews to be able to return to base at the end of their shift and only be asked to attend the highest category of calls while en route. Over 1,000 Thomas Cook airlines cabin crew are being balloted for industrial action in a dispute over health and safety concerns and ‘dangerous’ changes to rest breaks. If the changes go ahead, Unite members would be allowed just a single 20 minute break during an 11 hour 59 minute duty period. Britain: Warning on dangers of changing offshore shift patterns New offshore work patterns could make the already hazardous work more dangerous and must not be imposed on workers, a coalition of unions has warned. The Offshore Co-ordinating Group (OCG) was speaking out on the publication of its report, ‘Safety critical offshore workers in the UK oil and gas sector: Hours, shifts and schedules’, commissioned from the Scottish Centre for Employment Research (SCER) at Strathclyde University. Teachers are threatening strike action in their campaign against excessive workload. The National Union of Teachers' annual conference called for “sustained strike action” to back schools challenging a long hours culture. Workload is the key driver of the teacher shortage crisis, putting people off becoming teachers and compelling enthusiastic teachers to leave, according to a new survey by the Association of Teachers and Lecturers (ATL). The union’s survey last month of 876 education staff asked what they thought might stop people from wanting to become teachers; 93 per cent cited workload and 91 per cent said poor work/life balance. Gruelling working hours across the public sector are leaving workers sleep deprived, with many only managing six hours sleep per night, a study has found. Research led by the University of Leeds and commissioned and funded by bed firm Silentnight found nearly a third of Britons suffered from sleepless nights as a result of long work hours and job-related pressure and stress. Leeds University news release. TUC news release. Risks 738. 13 February 2016. A construction worker forced to work 70-hour weeks has won a constructive dismissal case. David Brown, who worked as a site manager for Ogilvie Construction, was awarded £14,000 at a tribunal against the firm. Workers driving home after a night shift are at an increased risk of a road traffic accident, a US study suggests. Researchers from Brigham and Women’s Hospital and the Liberty Mutual Research Institute found that for post-night shift drives nearly 44 per cent were ended early for safety reasons compared to none of the post-sleep drives. Over 200 Arriva bus drivers in Kent have taken two days of strike action over the introduction of unachievable, fatigue-inducing and unsafe timetables. Their union Unite has said drivers are being kept at the wheel for five and a half hours at a time with as little as four minutes ‘recovery’ time and limited access to toilet facilities. The TUC has welcomed a ruling by the European Court of Justice on working time and a worker’s travel between their home and a client. The ruling affects workers with no ‘fixed or habitual’ place of work, and requires a worker’s travel time between home and their first and last customer appointments in a working day to be considered in relation to the 48 hour maximum working week introduced under the Working Time Directive. The number of people working excessive hours has risen by 15 per cent since 2010, according to a new TUC analysis. Regularly working more than 48 hours per week is linked to a significantly increased risk of developing stress, mental illness, heart disease and strokes and diabetes. Long working hours greatly increases your risk of suffering a stroke, a major study had found, with the risk increasing the more hours you work. The research, carried out in three continents and led by scientists at University College London, found that those who work more than 55 hours a week have a 33 per cent increased risk of stroke compared with those who work a 35- to 40-hour week; they also have a 13 per cent increased risk of coronary heart disease. A new TUC analysis indicates that 1,669,000 employees are missing out on their minimum legal entitlement to paid holidays. The TUC review of unpublished figures from the 2014 Labour Force Survey (LFS) shows that on average 6.4 per cent of employees across the UK are losing out on their holiday entitlements, a legal health and safety entitlement laid out in the EU Working Time Directive. TUC news release and Touchstone blog. Risks 714. 8 August 2015. Action is needed to protect the health and welfare of Britain’s growing army of night workers, the TUC has said. ‘A Hard Day’s Night’, a new report from the union body, shows that night working has grown since the recession, and there are now over three million employees who are regular night workers in the UK. TUC news release and full report, A Hard Day’s Night, August 2015. Risks 714. 8 August 2015. As evidence mounts linking shift work to breast cancer, heart disease, diabetes, obesity and a range of other health problems, the TUC is warning that preventive advice isn’t keeping pace with the evidence of harm. TUC Stronger Unions blog. Are you on the receiving end of good or bad agreements on shift work? Tell the TUC safety department. Risks 713. 1 August 2015. Proposals to allow larger stores in England and Wales to open for more hours on Sundays have been condemned by unions who say the move will be bad for retail workers. Unveiling the plans in the summer budget, Chancellor George Osborne said powers over trading hours will be devolved to major towns and cities. The government of Japan is seeking to use the law to eradicate deaths from overwork, or ‘karoshi’. A Health, Labor and Welfare Ministry panel has prepared an outline bill to promote measures to prevent these deaths. Unite has launched a confidential advice and support line to help confront abusive ‘Victorian’ work practices at Sports Direct and a culture of fear at the retailer’s Shirebrook warehouse in Derbyshire. Working conditions are underpinned by a ‘six strikes and you’re out’ disciplinary procedure, where workers can get strikes for long toilet breaks, excessive chatting and even having time off for sickness. UK workers gave their bosses nearly £32bn worth of unpaid overtime last year – an average of £6,050 each if these hours had been paid – according to new analysis published by the TUC. The TUC found that one in five (20.3 per cent) of the workforce regularly work extra hours for no pay. Threequarters of school support staff work over their contracted hours because their workload demands it, according to a survey by the Association of Teachers and Lecturers (ATL). Over 1,600 support staff working in UK state-funded schools responded to the survey and 21 per cent reported having to work between four and six extra hours a week. Transport workers’ union Unite is demanding for a fair deal for HGV drivers amid warnings they are being forced to put themselves and the public at risk by working more than a “whopping” 60 hours a week. Low pay and rising demands from employers to do more increase the chances of serious accidents on the roads, the union warned as it launched its professional drivers’ charter. Individuals who exceed 48 hours per week at work are more likely to consume “risky” quantities of alcohol, researchers have concluded. Their overview of studies covering more than 400,000 people showed that long working hours boosted the likelihood of higher alcohol intake by 11 per cent overall. Sick and injured workers at Wal-Mart stores in the US have found themselves trapped in locked stores, unable to get medical attention, a New York Times report has revealed. For more than 15 years, Wal-Mart Stores Inc, the world's largest retailer, has locked in overnight employees at some of its Wal-Mart and Sam's Club stores. A new analysis of data from the world’s largest and longest-running study of women’s health finds that rotating night shift work is associated with higher death rates. The new findings add to a growing awareness that long-term night shift work comes with serious occupational health risks. Workers in Japan have been offered union-run counselling in a bid to reduce the deadly impact of excessive workloads. The trade union confederation Rengo said the two days of telephone counselling was intended to reduce the chances of a worker falling victim to “karoshi,” or death from overwork. Working night shifts can increase the risk of developing obesity as sleeping during the day burns fewer calories than at night, according to new research. The study found that night shift patterns disrupt the metabolism of employees, causing them to use less energy than they normally would over the course of a day. Working an irregular shift pattern may be causing long-term damage to people’s memory and mental abilities, new research has shown. The study suggested a decade of shifts aged the brain by more than six years. Canada’s major freight rail companies are fighting moves by the federal transportation regulator to curb “extreme fatigue” among railway engineers, a CBC News investigation has found. CN Rail, CP and the Railway Association of Canada went on the attack two weeks ago at a “tense and heated” meeting of industry, union and government representatives, according to a number of people present. Working long hours in ‘low status’ jobs can increase your risk for diabetes, a new study suggests. Researchers found that people who worked more than 55 hours a week at manual labour or other types of ‘low socioeconomic status jobs’ were 30 per cent more likely to develop diabetes than those who worked 35 to 40 hours a week. Unite has hailed an Employment Appeal Tribunal (EAT) judgement concerning the working time arrangements of on-call technicians and paramedics in the Scottish Ambulance Service (SAS) as “a significant victory” for workers’ rights and patient safety. Relief ambulance paramedics Paul Truslove and Ellouise Wood pursued the SAS for compensation over a breach of their rest entitlements under the 1998 Working Time Regulations, having accumulated 97 and 48 consecutive working hours respectively. Shiftwork is associated with a heightened risk of developing type 2 diabetes, with the risk greatest among men and those working rotating shift patterns, a review of the evidence has found. The study found that working shifts carries a 9 per cent higher risk of developing diabetes, with most shift patterns, except mixed and evening shifts, associated with a heightened risk of the disease compared with those working normal office hours. Hospitals in Scotland are being told to reduce the working hours of junior doctors following the death of a young medic on her drive home from work. Scottish government health secretary Alex Neil said NHS managers must end all rotas that make doctors work seven night shifts in a row and more than seven days back-to-back. Preventing employers from insisting their zero hours staff are allowed to work for them alone will be good news for some employees, but the government needs to go much further if the widespread abuse of these contracts is to be stamped out, the TUC has warned. The union body was commenting on government plans to stop the use of ‘exclusivity’ contracts – which prevent workers on zero hours contracts from working for more than one employer. Employers are being advised to encourage staff to take proper lunch breaks after a survey found many were skipping a proper break. Physios’ union CSP said poor work habits like not taking a break, staying late or eating lunch ‘al-desko’ are damaging the nation’s health. The abuse of social media and email is an increasing problem for teachers, leading to more abuse and out-of-hours work, a survey by teaching union NASUWT has found. Over a third (35 per cent) of teachers in Scotland report receiving work-related emails outside school hours, with 42 per cent saying they receive them weekly and 19 per cent daily. A new government ‘Help to Work’ scheme has been strongly criticised by unions after it was revealed jobseekers could be forced into zero hours contract jobs. Under the scheme, jobseekers may lose their benefits for three months if they refuse a zero hours contract - insecure or ‘contingent’ work has been linked to higher rates of sickness absence and occupational injuries and diseases. The majority of workers on zero hours contracts earn less than the living wage and are at risk of abuse, the TUC has said. The union body was commenting ahead of the publication of new official figures which indicated there are now well over 1 million zero hours contracts in the UK. Teachers are being swamped with work-related emails on weekends, in holidays and even when they are on sick leave, adding to their already excessive workload and causing rising levels of stress, a survey by the union NASUWT has found. Over two thirds (69 per cent) of teachers reported receiving work-related emails from senior staff outside school hours, with nearly 85 per cent receiving emails during weekends, over threequarters (76 per cent) during holidays and nearly half (43 per cent) during periods of sickness absence. Under a legally binding agreement reached by employers’ federations and unions in France, workers in the technology and consultancy sectors no longer have to answer work emails or phone calls outside work hours. The deal obliges staff to “disconnect” from work calls and emails after working hours; companies must ensure employees come under no pressure to respond to messages, so the spirit as well as the letter of the law is observed. Proposals from ministers on zero hours contracts will fail to stem the widespread exploitation of workers, the TUC has said in its response to a government consultation. The TUC submission highlights how zero hours work is dogged by low pay, under-employment, and job and income insecurity. Employees across the UK worked a record amount of unpaid overtime last year, with over 5.4 million workers putting in around £640m worth for free every week, according to the TUC. The TUC analysis shows that the number of people regularly doing unpaid hours at work increased by 331,000 last year to 5.42m – the biggest annual rise since comparable records began in 1998. The hours worked by teachers have soared under the current government, a Department for Education (DfE) study has found. The embarrassing for ministers findings of the Teachers' Workload Diary Survey 2013, smuggled out on a Friday evening without the usual news release, have led to calls from teaching unions for an urgent reduction in the demands on staff. The number of staff doing unpaid overtime has gone up in the public sector over the last decade, but has held steady in the private sector, according to a new analysis of official figures by the TUC. If staff who regularly work unpaid overtime did all their extra hours from the start of the year they wouldn’t get paid until 28 February 2014. This will be this year’s Work Your Proper Hours Day, celebrating the unsung – and unrewarded – hours that staff put in to help their employers and boost the UK economy. The union Unite is demanding an independent inquiry by the Care Quality Commission (CQC) into a long-running Yorkshire ambulance dispute over a plan to impose new shift patterns for paramedics and ambulance staff as part of a package of cuts. Unite’s 375 members, who have been involved in a programme of industrial action related to the changes, say the imminent introduction of elongated shift patterns could mean staff are required to work 10 hours without a meal break. The government is “desperately short” of answers to the growth of zero hours contracts in Britain, the TUC has said. The union body was speaking out after the government’s announcement last month of a consultation on changes to zero hours contracts. Doctors in Scotland are suffering “stress and burnout” as growing NHS workloads take their toll, medical leaders have warned. Brian Keighley, chair of the British Medical Association in Scotland, said the NHS was struggling to deal with the pressures of an ageing population, Westminster-led funding cuts and rising expectations from patients which include a shift towards a seven-day-working week in hospitals. Scottish health secretary Alex Neil has come under pressure to review junior doctors' working hours following the tragic case of Dr Lauren Connelly, who died driving home after a hospital night shift. Her father, Brian Connelly, believes she was fatigued after six weeks of extremely long hours and wants an overhaul of the system and has received support from opposition politicians. A food factory prosecuted last month after a workplace amputation broke the Working Time Regulations several hundred times in a three month period, an investigation by the union GMB has found. The union probe followed multinational Bakkavor’s prosecution for criminal safety breaches discovered after a worker lost the tip of a finger in an unguarded machine at its Harrow pizza factory. Pilots’ union BALPA has expressed dismay at a ‘dodgy backroom deal’ that saw the European Parliament approve contentious new flying hours rules. BALPA says intensive lobbying from the airline industry and ‘dodgy last minute backroom deals’ mean the rules can now be implemented, unless the EU Council of Ministers decides to discuss the rules and vote on them. British pilots have welcomed the vote by the EU Transport and Tourism Select Committee rejecting new Europe-wide rules on pilot flying hours they say will undermine UK flight safety. The British Airline Pilots’ Association (BALPA) is now calling on the UK government and MEPs to act to protect the safety of our skies. Union concerns that planned European Union changes to flying hours rules would see pilots landing planes while dangerously tired have been supported by a committee of MPs. A report from the House of Commons transport select committee published this week expresses concern about the lack of evidence behind proposed changes which could mean pilots were awake for a 22 hour stretch. Bank of America Merrill Lynch has launched a review of working conditions for junior staff after the death of an intern employed at its London office. Moritz Erhardt, 21, was found dead at his home after reportedly working at the Merrill Lynch investment bank for 72 hours without sleep. Hovis staff started the first of a planned series of strikes on 28 August over the introduction of agency workers on zero hours contracts. The action is at the Wigan bakery, one of 10 Hovis sites in the UK. A new poll has revealed the overwhelming majority of the travelling public have concerns about European Union plans to make British pilots fly when they are dangerously tired. The ComRes poll found 89 per cent of the British public said they would be concerned about being in an aircraft flown by a pilot who has been awake for 22 hours, something new EU rules cutting British safety standards will allow. The union Unite is pressing for decisive policies to halt the ‘alarming rise’ in insecure working. Making the call at Labour's summit on zero hours working this week, the union said a zero hours ‘plague’ is gripping workers across the UK. Urgent action is needed to stop the growth of the zero hours culture, unions have said. The call came after the Office for National Statistics (ONS) admitted it had dramatically underestimated the extent of zero hours work, and then research published by the human resources organisation CIPD suggested the problem could still be much more serious than the government accepts, with a possible one million zero hours workers in the UK – four times the revised government estimate. Pressure is mounting on Mike Ashley and his Sports Direct empire over its use of zero-hours contracts for part-time employees as Unite this week demanded a meeting with the billionaire businessman. Politicians, campaigners and charities called on the UK’s biggest sports retailer to change its policy after Unite revealed it was using the no-rights contracts for 90 per cent of its workforce. Seafarers’ union Nautilus is urging maritime lawyers to address the ‘excessive working hours of seafarers’. The call came ahead of a 24 July EU-sponsored seminar to discuss the results of the ‘Project Horizon’ research into fatigue at sea. The European agency responsible for aviation safety across the European Union (EU) has been accused of “gross maladministration” by British pilots. The British Airline Pilots’ Association (BALPA) has submitted a formal complaint to the European Ombudsman saying the European Aviation Safety Agency (EASA) has breached its own terms of reference in the way it has put together proposals to change pilots’ working hour limits, set to prevent dangerous fatigue. The government should look at regulating zero hours contracts, the TUC has said. The union was commenting after figures published by shadow health secretary Andy Burnham MP revealed over 300,000 workers in the care sector alone are employed on zero hours contracts. Working night shifts for more than 30 years could dramatically increase women's risk of developing breast cancer, a new study has concluded. Nurses, cleaners, care workers, some shop workers, call centre workers and others who work night shifts for long periods can have double the risk of developing the disease than those who don't, the new study indicates. Up to 300 security staff at the Houses of Parliament took strike action in a long-running row over imposed shift patterns. The workers, employed by the Metropolitan Police, accepted two years ago that shifts had to change, but their union PCS said during protracted talks senior Met officials “repeatedly moved the goalposts” when the union presented a series of proposals. Almost a quarter of Britain's major employers now recruit staff on zero-hours contracts that keep workers on standby and deny them regular hours. According to government estimates, 23 per cent of employers with more than 100 staff have adopted the flexible contract terms for at least some staff following a surge in the number of public sector services contracted out to private providers. In Brazil, fast food giant McDonald's was this year fined US$4 million for operating a zero-hours scheme under which workers sat in the "break rooms" without being paid, until the employer determined there were a sufficient number of customers for hours to be counted. The court ruling required McDonald’s to eliminate the working time scheme throughout Brazil and ordered it to provide healthy meals to its workers. TUC research published on 1 March has revealed that around one in five workers regularly do around seven hours of unpaid overtime a week. The union body questions whether it’s really necessary for workers to do 1.8 billion hours of unpaid overtime a year – the equivalent of 1 million extra full-time jobs. If staff who regularly work unpaid overtime did all their extra hours from the start of the year they wouldn't get paid until 1 March 2013. The TUC has named this day Work Your Proper Hours Day to celebrate their hard work. Airline unions have issued a final warning about ‘unsafe’ European Union pilot fatigue plans. Pilots from the British Airline Pilots’ Association (BALPA) delivered a ‘Tired Pilots Risk Lives’ dossier containing scientific reports, correspondence and testimonials to 10 Downing Street, the Department for Transport and the Civil Aviation Authority (CAA) spelling out the dangers. Britain: How did xmas work for you? While many of us enjoyed a few days off over the holidays, the numbers required to work on Christmas Day soared, according to figures compiled by the TUC. The TUC analysis of official statistics shows that the number of people who worked on 25 December rose by 78 per cent between 2004 and 2010, the most recent year for which figures are available. Australia’s national safety watchdog is developing measures to tackle the health and safety hazards of fatigue at work. Work Safe Australia is proposing a new code intended to “eliminate or reduce the need to work extended hours or overtime” so staff don't get dangerously fatigued. University staff are suffering ‘damaging’ stress levels arising from intense workloads and a long hours culture, union research has found. A report of a UCU survey of 14,000 higher education academic and academic-related staff ranks marked the start of UCU's campaign against excessive workloads in post-16 education. Retail union Usdaw says latest high street trading figures confirm the union’s warning that the eight week suspension of Sunday trading rules for the duration of the London Olympics would be a costly mistake. The figures released this week by the Office for National Statistics show retail sales in August fell by 0.2 per cent. The shopworkers' Union Usdaw has written to business secretary Vince Cable to seek an urgent assurance that the government has no plans to permanently deregulate Sunday trading hours in England and Wales. The action came after the prime minister's official spokesperson, when asked if a permanent law change to extend temporary changes introduced during the Olympics was on the cards, said “a lot of people will want to look at the issue”. Safety reps should demand action to protect workers from shift patterns linked to cancer and other health problems, public sector union UNISON has said. The union was speaking out after a series of reports linked shiftwork with an increased risk of breast cancer, heart disease and other health problems. 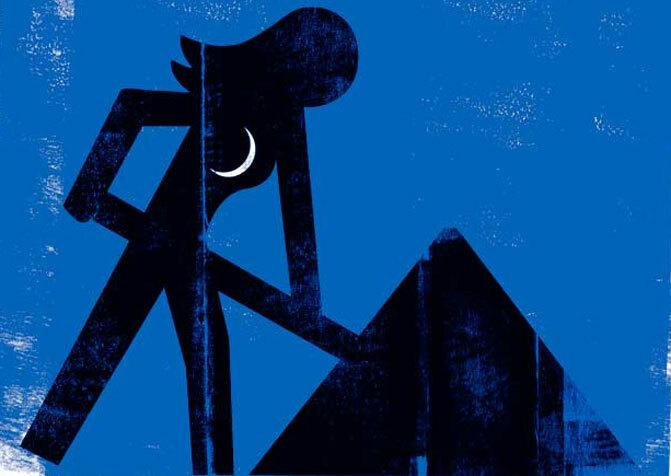 A new study has reinforced concerns that women undertaking night work can face an increased risk of breast cancer. Reporting their findings online in the International Journal of Cancer, the French study concludes the risk of developing breast cancer was 30 per cent higher in women who had worked nights compared to women who had never worked nights. UK office workers are putting their mental and physical health at risk by working more than two hours extra each night on their commute and at home, a new survey for the physios’ union CSP has found. Cabin crew union Unite has echoed concerns raised by pilots’ union BALPA and the House of Commons transport select committee that European aviation working hours proposals could jeopardise safety. The union, which represents about 25,000 cabin crew across the airline industry, reiterated their warning that the safety of passengers and crew could be at risk if the proposed rules are adopted. Working night shifts more than twice a week is associated with a 40 per cent increased risk of breast cancer, a study has found. The long term study, published online on 28 May 2012 in Occupational and Environmental Medicine, found those who had worked nights at least three times a week for at least six years were more than twice as likely to have the disease as those who had not. Johnni H and Lassen, CF. Nested case-control study of night shift work and breast cancer risk among women in the Danish military, OEM, Online First, 28 May 2012, doi 10.1136/oemed-2011-100240. The government’s use of emergency legislation to force through a suspension of Sunday trading rules during the Olympics has left shopworkers “bitterly disappointed”, their union has said. MPs voted through The Sunday Trading (London Olympic Games and Paralympic Games) Bill on 30 April, after just nine hours consideration and debate in both the House of Commons and House of Lords. Shopworkers shouldn’t lose their Sundays at this summer’s Olympics. Delegates at Usdaw's Annual Delegate Meeting (ADM) reaffirmed the union's opposition to the deregulation of Sunday trading, calling on the government to drop plans to suspend Sunday trading restrictions during the Olympic and Paralympic Games this summer. An incident in which an Air Canada passenger jet dived and caused injuries to 16 of those onboard provides a dire warning of the dangers of pilot fatigue, UK pilots’ union BALPA has said. A report this week by Canada’s Transport Safety Board found a “confused and disoriented” Air Canada co-pilot had just awoken from a “controlled rest period” when he put the airliner into a dive. Shiftworkers getting too little sleep at the wrong time of day may be increasing their risk of diabetes and obesity, according to a new study. The researchers are calling for more measures to reduce the impact of shiftworking. Shopworkers are opposed to ‘ridiculous’ government plans to introduce emergency legislation suspending Sunday trading laws this summer, their union has said. In his 21 March Budget statement, chancellor George Osborne announced there would be a “relaxation” of Sunday trading hours restrictions on eight Sundays during the Olympics and Paralympics, starting 22 July. A law to prevent a growing number of deaths related to overwork has been proposed at China’s National's People's Congress (NPC). Hu Xiaoyan, China's first migrant worker elected as a representative of the NPC, made the call during the law-making body’s annual session. Australian workers are suffering from an “unrecognised epidemic” of tiredness, a new study suggests, with working parents particularly badly affected. Report authors, psychologists Natalie Skinner and Jill Dorian, recommend a cap the working week, including overtime, at 38 hours, to help avoid harm caused by sleep deprivation. The proportion of employees in their late 50s and early 60s working unpaid overtime has increased sharply in the last decade - despite a fall in unpaid hours for the rest of the workforce. A new TUC analysis of official figures shows across the UK around one in five workers (5.3 million people) put in an average of 7.2 hours of unpaid overtime per week last year, worth around £5,300 a year per person - and a record £29.2 billion to the economy. A new study has concluded that working long hours - regardless of job stress or satisfaction - increases the risk of depression. Researchers at the Finnish Institute of Occupational Health and University College London followed nearly 2,000 middle-aged British civil servants for almost six years. The two billion hours of unpaid overtime worked last year would be enough to create over a million extra full-time jobs, the TUC has calculated. It says the total amount of unpaid overtime worked last year was 1,968 million hours - worth a record £29.2 billion to the UK economy. UK workers remain among the most overworked in Europe, new official statistics indicate. An analysis published by the Office of National Statistics found full-time workers in the UK work longer than the EU average (42.7 hours compared with 41.6), with only people in Austria and Greece working a longer week, both at 43.7 hours a week. Women who work a rotating schedule that includes three or more night shifts per month, in addition to day and evening working hours in that month, have an increased risk of developing type 2 diabetes, a study has found. Researchers at Harvard School of Public Health (HSPH) reached their conclusion after comparing women on rotating shifts with those who only worked days or evenings, and found the risks increased in line with years working the shifts. Pilots union BALPA is seeking to alert people to the dangers posed by proposed changes to the limits on pilots flying time. To support their campaign BALPA have produced a short youtube video. Proposed European Union flying hours limits would see pilots working with levels of fatigue-related incapacity equivalent to four times the legal alcohol limit for flying, pilots’ union BALPA has warned. The Teamsters Union have joined a campaign to support the proposed Hours of Service (HOS) rule proposed by the Federal Motor Carrier Safety Administration that will limit consecutive driving hours and prevent abuse of the current regulations. Unions and safety organisations claim that the proposed rule will save the American public more than $2 billion and create nearly 40,000 jobs in the trucking industry. A Middlesex coach company has been fined £137,500 after being found guilty of abusing drivers’ hour’s regulations. BM Coach and Rental was found guilty at Uxbridge Magistrates’ Court of 131 drivers’ hours offences after an investigation by the Vehicle and Operator Services Agency (VOSA) in summer 2010. Clocking up extra hours at work can increase markedly the risk of heart disease, UK researchers have found. The research team from University College London warned people who work an 11-hour day compared with those who work a standard seven or eight hours increase their risk of heart disease by 67 per cent. MRC news release • BBC News Online • Morning Star. A record 5.26 million people worked unpaid overtime last year - the highest number since records began in 1992, a TUC analysis of official figures has revealed. The analysis, published on 25 February to mark Work Your Proper Hour Day (WYPHD), shows over one in five workers (21 per cent) regularly worked unpaid overtime last year, an increase of 0.7 per cent since 2009 and the highest proportion since 1997. A recent air crash in which 50 people died was linked to pilot fatigue and exposes the folly of moves to extend pilots’ flying hours, their union BALPA has warned. The UK union said the Colgan disaster on 12 February 2009 when a plane crash-landed at Buffalo, USA, could be repeated in the UK if EU revised rules on pilot fatigue are allowed to proceed as planned. Airline pilots from across Britain lobbied ministers and MPs in parliament last week in a bid to block what they believe is an unsafe plan to increase pilot flying hours across the European Union (EU). Pilots’ union BALPA is warning an extension of allowable working hours would increase the risk of fatigue-related air disasters. The union has launched a ‘Wake up - Pilot fatigue risks lives’ campaign against European plans to increase the working hours of pilots, warning safety would be put at risk. Britain’s biggest online retailer sent home casual staff in the middle of the night, half way through their shift, an employment rights group has revealed. Some workers had to wait at the giant Amazon warehouse near Gourock, in Inverclyde, Scotland, until public transport resumed in the morning, even though they were not being paid. Canadians who work night shifts and rotating shifts are almost twice as likely to be injured on the job as those working regular day shifts, according to a study by researchers at the University of British Columbia (UBC). The study, published in the current issue of the Scandinavian Journal of Work, Environment and Health, found that while the overall rate of work injuries in Canada decreased, the rate of injuries did not decline for night shiftworkers. A major international shipping company has been fined after overworking seafarers and failing to obey an official improvement notice. AP Moller-Maersk was fined £18,500 this week and ordered to pay costs of £4,439 after admitting eight charges of failing to provide adequate hours of rest for the crew of a UK-registered containership and one charge of failing to improve the situation. A bus firm boss has had to pay out almost £100,000 after an investigation found his drivers were working exhausting shifts without adequate breaks for weeks at a time. Edward John Martin Bellamy, the director and transport manager of Bellamy Coaches, was also failed to keep records of work, an investigation by the Vehicle and Operator Services Agency (VOSA) found. Work-related exhaustion can be deadly for industrial workers, a new study has concluded. Finnish researchers found industrial employees who are under 45 years of age were almost three times as likely to die as other workers, with the most common causes of death tumour (34 per cent), accident (26 per cent), suicide (26 per cent) and coronary decease (22 per cent). The TUC has welcomed the findings of a government commissioned independent review, which concludes it is possible to deliver high quality training for hospital doctors within the 48 hour limit on average weekly working time. The Maritime and Coastguard Agency (MCA) has warned that serious action will be taken against shipping companies found to be cutting staffing levels and flouting hours of rest requirements. The statement from the marine safety body has been welcomed by seafarers’ union Nautilus. A university worker who had to work 65 hours a week has received £110,000 in compensation after he had to give up work due to stress. UCU member Mark Bannister, 49, had a history of anxiety and depression and despite complaining about the excessive workload, nothing was done to alleviate the pressure. A UK think tank has said that shorter working hours will be better for workers and the environment - but only if there is greater pay equity. Despite a recent trend to increased working time the new economics foundation (nef) forecasts a major shift in the length of the formal working week as a consequence of dealing with key economic, social and environmental problems. Workers in a Connecticut power plant that was rocked by an explosion which killed five people last week were often working more than 80 hours a week, reports say. It is also alleged that workers at the Kleen Energy Systems plant smelled gas less than an hour beforehand and were told to open doors wider for air. A restaurant chain in Japan has been accused of working one of its employees to death. The Osaka Central Labour Standards Inspection Office sent an investigation report on local restaurant chain Isoji and its 60-year-old president to the Osaka District Public Prosecutors Office. Britain’s workers are facing an exhausting “double whammy” of long commutes and long hours at work, new figures have revealed. A TUC analysis of official statistics published this week shows UK workers spend 21.8 million hours travelling to and from work every day. The rules governing the working hours of bus, coach and van drivers are so out of date that many drivers have fewer breaks than office workers, the TUC has warned. In an October submission to a Department for Transport review, the TUC said long hours working is a direct cause of driver fatigue, which contributed to one in five road accidents last year. Long flying hours are “putting lives at risk”, airline crew have warned. European air crew unions say current rules that govern flying hours are unsafe, with fatigue a factor in up to 15 per cent of accidents. A Glasgow metal worker who was sacked for nodding off on night shift and missing a fire drill has been awarded £25,374 compensation for unfair dismissal. David Hart, 59, was dismissed for gross misconduct and complained he was unfairly sacked by the Waukesha Bearings factory in Glasgow after a clean 37-year service record. Europe’s transport unions have won support for safe driving hours. The European Transport Workers’ Federation (ETF) applauded the European Parliament’s decision to reject a proposal on a revised working time directive for road transport. Shiftworkers in the UK are facing serious health risks but are getting second class safety because the Health and Safety Executive (HSE) clocks off outside normal office hours, according to a new report. Report author Professor Andrew Watterson calls for more HSE resources to be targeted at workers on atypical hours, rigorous enforcement of working time law, an end to the UK opt-out from the working time directive’s 48-hour working week ceiling, and for the UK government to follow the Danish government’s lead and compensate workers with breast cancer caused by long-term night work. Railway workers in Norway have won improved protection against violence at work, following their unions’ lobbying efforts. Workers represented by Norsk Jernbaneforbund and Norsk Lokomotivmannsforbund won an amendment to existing criminal law after the union engaged the government in talks to improve the plight of railway workers who were experiencing increasing violence, particularly at night. For the first time, the life-threatening physical and psychological effects of shift work are being used to push for bigger pay packets for nurses and midwives in New South Wales, Australia. The NSW Nurses Association launched its claim in the Industrial Relations Commission this week, calling in experts to cite studies linking shift work with higher rates of breast cancer, heart disease, miscarriage, clinical depression and divorce. The TUC has criticised the government for its role in frustrating discussions in Europe to end the UK's opt-out from the 48-hour working week ceiling. A conciliation meeting last week between MEPs and employment ministers ended without agreement. A top UK occupational health researcher has warned that the UK authorities are lagging behind their Scandinavian counterparts when it comes to action on night work hazards, linked to cancer and other chronic health problems. Stirling University’s Professor Andrew Watterson said the problem was being neither properly recognised nor addressed in the UK. Seafarers’ union Nautilus is urging the government to act on an official call for measures to combat seafarer fatigue. Around five million workers are doing an average of seven hours and six minutes unpaid overtime a week, according to the TUC. The number of people working unpaid overtime across the workforce has been stable since last year, the union body said, but added the recession was leading to some working longer hours and others struggling for work. Trade unions have welcomed December’s decisive vote by the European Parliament to end the UK's opt-out from Europe's 48 hour average working week. To demonstrate the consequences of excessive working hours, GMB published a dossier of recent public and workplace deaths linked to overwork. More than five million people worked unpaid overtime in 2008, bringing its total value across the UK to a record £26.9 billion, according to a new analysis of official statistics published by the TUC. The union body warned a recent trend to shorter hours has been reversed and says the economic downturn could increase the pressure to work for free. Rail unions have pledged to fight job cuts and plans to introduce zero hours contracts at the Deutschebahn-owned railfreight company EWS. Condemning the firm’s plan to sack 530 workers, RMT challenged EWS to confirm that there will be no compulsory job losses and that the firm will end the “disgraceful” practice of employing people on zero-hours contracts. Ending the UK’s opt-out from Europe’s 48 hour average working week would cause business little difficulty, the TUC has said. A TUC report published on 15 December, ahead of the vote at the European Parliament on the working hours rule, said the move would also improve the health and safety of long hours workers and reduce the risks of accidents caused by overtired and stressed workers. The European Parliament has voted decisively to end the UK's opt-out from Europe's 48 hour average working week. MEPs voted by 421 to 273 to remove the opt-out from a revised working time directive approved by EU employment ministers in June; the European Parliament will now open negotiations with the Council of Ministers to seek agreement with them on the issue. The TUC has welcomed a decision by the employment and social affairs committee of the European Parliament to scrap the Working Time Directive opt-out within three years. The amendments proposed by the committee will be the considered at a plenary session at the European Parliament’s December meeting, and will need an absolute major vote to be adopted. As recession and work worries hit home, workers need a break – and a new bank holiday could be just the job. On 27 October - the halfway point of the longest gap between UK bank holidays - the TUC and the UK's leading voluntary organisations put their case for a new Community Day bank holiday. The number of people spending more than one hour per day commuting to work fell by 206,000 in 2007, according to TUC. The TUC analysis of official Labour Force Survey (LFS) figures - produced to coincide with Workwise UK's Commute Smart week, the last week in October - shows a fall of one per cent from 2006 in employees undertaking commuter journeys of longer than one hour. Stress or overwork, injuries and illnesses caused by the poor use of display screen equipment and repetitive strain injuries (RSI) top the list of workers' safety concerns, according to the TUC's biennial survey of safety reps.
UK workers still work the longest hours in Western Europe, but UK unions have been particularly effective in winning shorter hours for their members. A report last week from Eurofound - the European Foundation for the Improvement of Living and Working Conditions - revealed that full-time employees in the UK put in 41.4 hours per week. Sleep-deprived shift workers are driving themselves to car crashes, trauma surgeons and early graves. While only 14 per cent of Australians are regular shift workers, they make up half the road trauma patients treated at one hospital. Herald Sun and related story on fatigued ambulance workers. Overwork and stress are the top problems facing workers, according to new TUC research. Its 'What workers want' report is based on an extensive YouGov poll of more than 2,500 people at work in Britain, and identifies safety as both a top three concern and an action priority. Port authorities need to get tough on seafarers’ working hours, the union Nautilus UK has warned. If you work a lot of overtime, especially on a low income or doing heavy manual labour, you're at increased risk of anxiety and depression. Researchers at the University of Bergen in Norway found even moderate overtime hours appears to raise the risk of “mental distress” and said their results support EU-style regulation setting a working hours ceiling. The UK government will keep its opt-out from the European Union’s 48 hour weekly work ceiling, but has agreed a series of improvements to working time rules. The European Trade Union Confederation (ETUC) and the Socialist Group of MEPs in the European Parliament have both said they will challenge the working time compromise. An extra 180,000 people across the UK are now working more than 48 hours a week, according to a TUC analysis of official statistics. The figures, included in a new TUC report, ‘The return of the long hours culture’, show the number of people working long hours has increased at a faster rate over the last year than the decline in excessive working between 1998 and 2006. Toyota is taking steps to deal with a corporate culture that been linked to deaths from overwork. From June, the company is to pay workers overtime for attending out-of-hours ‘kaizen’ or quality control (QC) circle meetings - it previously only allowed workers to claim two hours' overtime a month for such “voluntary” activities. One in five of all crashes on major roads are caused by tired drivers but research shows many motorists are ignoring the simplest sign - the common yawn - that it's time for a break. A new government campaign featuring acting star Joseph Fiennes sets out to remind motorists of the dangers of driving when tired – and says it is a particular problem for working drivers. A court in Brazil has ruled that companies should limit truckers’ working day to eight hours on safety grounds. The preliminary injunction, which was imposed by prosecutors in Cuiaba in Mato Grasso, applies to transport companies across Brazil and came in response to evidence that trucks are involved in 70 per cent of accidents on Mato Grasso highway and that over half (51 per cent) of truckers passing through Mato Grosso use or have used drugs to stay awake. London's 23,000 bus drivers are demanding a standard wage and safe driving hours across all the city's bus operators. Safety measures in the claim include a maximum of 4 hours and 30 minutes of continuous driving duty before a break, 7 hours and 36 minutes maximum time on duty per day, and a limit of 38 hours per week on duty. Unions have hailed a “fantastic” tribunal ruling giving about 10,000 offshore workers two weeks' paid holidays. The decision, affecting drillers, caterers and subsea workers, follows a long-running battle over offshore workers’ rights under the Working Time Regulations. The average British manager works the equivalent of 40 days a year in unpaid overtime, a survey has revealed. The Chartered Management Institute’s (CMI) survey of 1,511 managers found 89 per cent regularly worked more than their contracted hours, with the benefit to industry and commerce 184 million extra days of unpaid effort, but the downside lower morale, poor health and declining productivity. Britain: Go on, work your proper hours! Nearly five million people are putting in an average of over seven hours unpaid overtime a week. If they worked all their unpaid overtime at the start of the year, 22 February would be the first day they’d get paid, which is why the TUC have named this date 'Work Your Proper Hours Day'. Shiftwork may increase the risk of enforced early retirement among women, suggests new research. Researchers used information from just under 8,000 male and female employees, who were part of the Danish Work Environment Cohort Study, which began in 1990, and data from the national welfare register. An overworked probation officer was forced to sell his house and car as he pursued a three-year legal battle to prove he was a victim of discrimination. Now an employment tribunal has ruled that Steven Collingwood, 38, of Carlisle, did suffer disability discrimination and harassment after a nervous breakdown was brought on by overwork in November 2004. A call for research into the long term effects of fatigue on air crew has been welcomed by pilots’ union BALPA. A court in central Japan has ordered the government to pay compensation to a woman who argued that her 30-year-old husband died from overwork at Toyota Motor Corp, Japan's largest car maker. Hiroko Uchino filed the suit after a local Labour Ministry office rejected applications for workers’ compensation benefits she filed after the death of her husband, Kenichi, said Hiroko Tamaki, a lawyer for the plaintiff. A culture of working long hours is on the rise once more in the UK after a decade of gradual decline, according to figures published this week by the TUC. More than one in eight of the British workforce now work more than 48 hours a week, the maximum allowed under the law unless workers agree to waive that limit - HSE’s enforcement database records just two successful prosecutions for breaches of the 1998 Working Time Regulations. Time spent at work is the single most important lifestyle factor that impacts on sleep, a new study has reported. US researchers found the more hours you work the less sleep you get. Excessive workloads are forcing over half of full-time civil servants to work excessive hours just to keep up, a study has found, with many now working while sick. Research for the union PCS found 45.8 per cent of workers surveyed put in between 40 and 48 hours and concluded 1 in 20 workers was breaking the working time regulations – introduced as a health and safety measure - by working over 49 hours per week. Factory workers held a demonstration outside their workplace on 31 July, angered by plans to introduce “family unfriendly” and potentially unsafe shift patterns. Supported by members of Unite’s TGWU section, workers from the Hilton Food Group plc in Huntingdon protested outside of the premises against the plans to extend their shifts by five hours per day, because they believe the move would have a negative impact on their family life and on workplace safety. People who are routinely up all night working the late shift are more likely to show stress symptoms linked to deadly heart problems, Dutch researchers report. Investigators discovered more of the shift work group developed 'premature ventricular complexes' (PVC), a condition associated with extra heartbeats and an increased risk of death due to heart disease. Doctors measured changes in heartbeat and variations in heart rate in 49 employees working shifts, including nights, and 22 employees working normal day hours. All the employees were newly in post, and the measurements were taken between one week and two months after starting the new job and again after they had been in post for 12 months. "The incidence of PVC increased significantly in shift workers over the 1-year follow-up, compared with daytime workers," the researchers write in the September issue of the journal Occupational and Environmental Medicine. The study found that nearly half the shift workers experienced an increase in PVCs, while just more than one quarter of day-shift workers saw an increase. The authors suggest that working at night may be a chronic stressor for the body and that the increased frequency of early heartbeat patterns might be a factor in the higher risk of heart disease among shift workers. It’s not just what we do that can hurt us at work, it is when we do it. Night work and shiftwork have been linked to serious conditions from cancer to heart disease. Fatigue can be deadly. The hours we work are a crucial healt h and safety issue.